Kingfisher is a Aquastar 38 and is licenced for upto 12 passengers with a onboard toilet with a door on the deck and this boat has got a large deck area for fishing comfortably. Kingfisher is also fitted with deck lights for fishing at night so you all can see easily and also has some seating / storage on the engine box. Kingfisher has previosly been involved in the filming of a stage due in the tv show 'Don't tell the bride' August 2012. 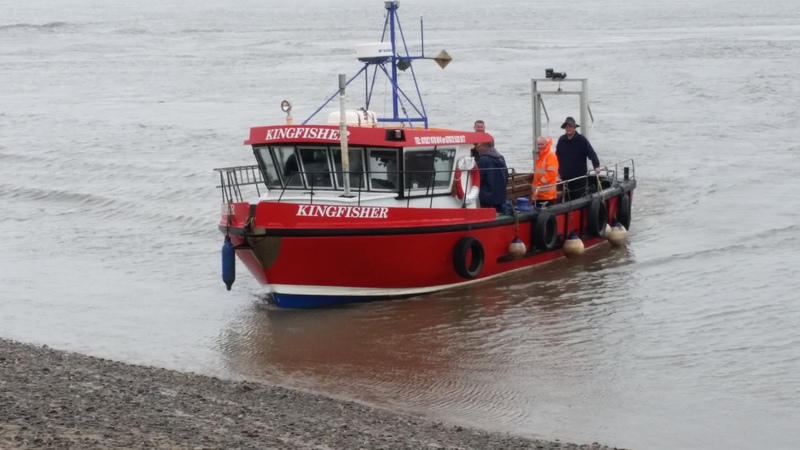 Kingfisher is fitted with all the electrical equipment, safety equipment and navigation equipment to comply with the coding.